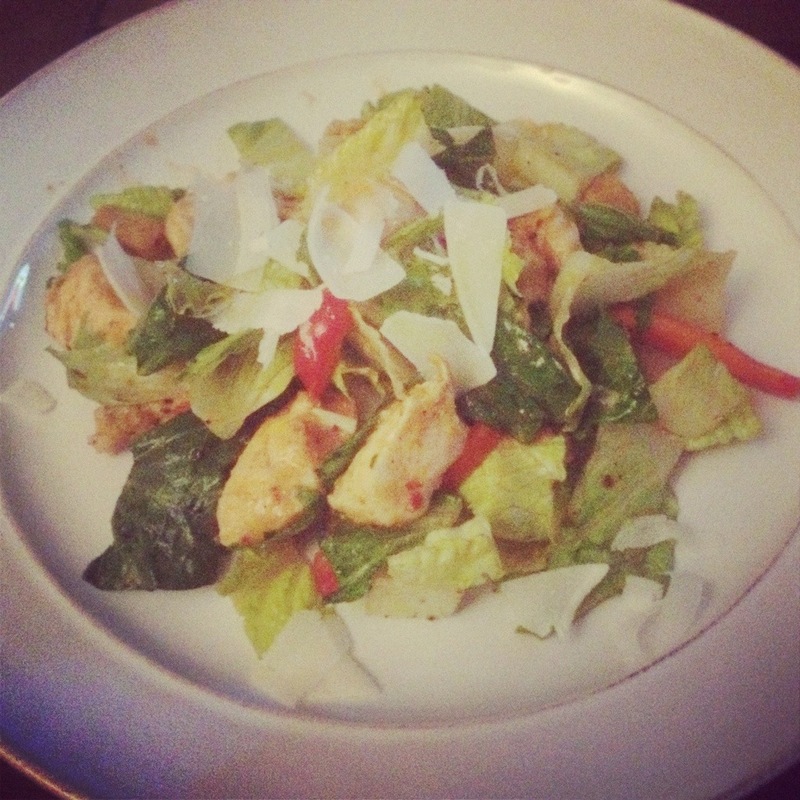 Tonight’s chicken salad was a bit different, and I thought I’d share the yummy dish with all of you! •Add the chicken to the pan and drizzle in EVOO and dry rub. Toss. *Add the bell peppers half way through and turn the chicken over. •When the chicken is done, add the drippings to the salad mix base and whisk until combined. •Add chicken, bell peppers, lettuce and croutons to bowl. •Garnish with the shaved cheese and serve! Yummy, healthy, and easy! Have fun with your salads by adding new seasoning combinations, or veggie options for a new dish that you can repeat again and again! Hope you all have a great week! Looking forward to the short work week an seeing a great light show Wednesday! More ideas tomorrow!